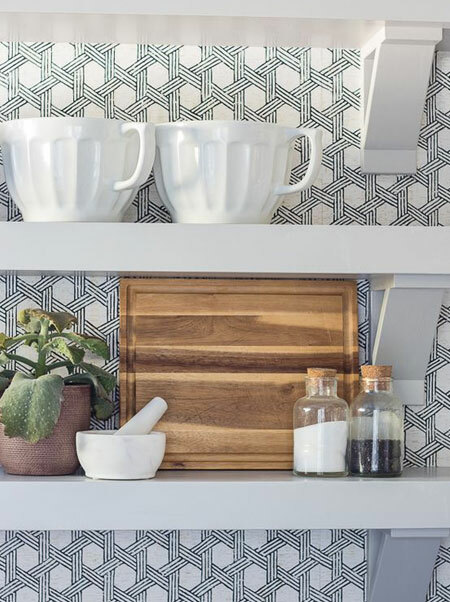 Wallpaper isn't just for walls - we found some crafty ways to use wallpaper to introduce a pop of colour and pattern. 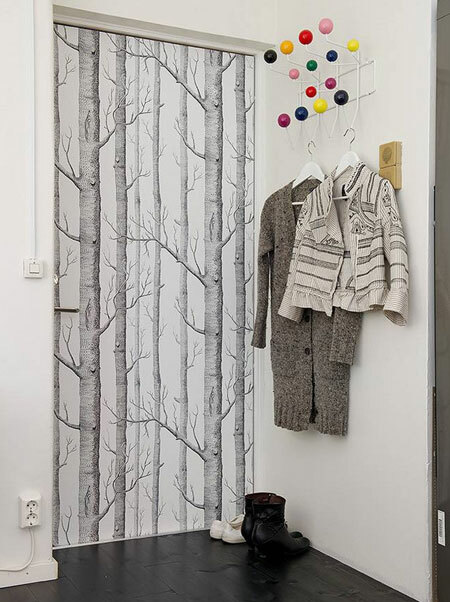 With some many colour options and patterns to choose from, wallpaper allows you to introduce unexpected elements into a room by being a little crafty and creative. Visually exciting, creative and colourful, wallpaper doesn't just have to go on walls and there are plenty of other ways to use wallpaper to make an eye-catching feature. Got an old lampshade that needs a revamp? Wallpaper is perfect for adding some scraps of wallpaper to give an old lampshade a new function. Simply glue a strip of wallpaper over the old fabric and it's ready for use. Make an interesting feature for a table lamp, standing lamp or central light fixture. 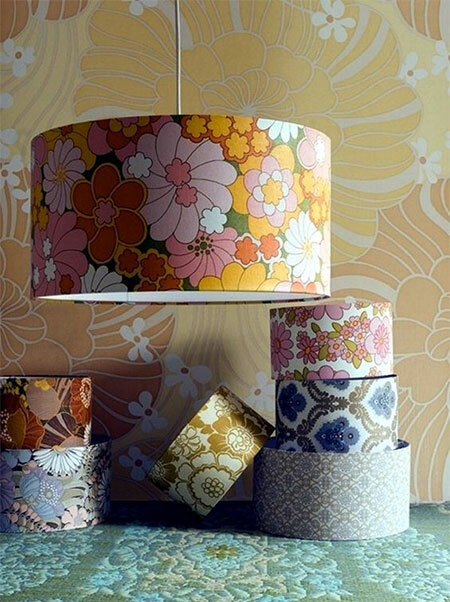 And you can apply wallpaper to the inside or outside of lampshades to create custom lighting. 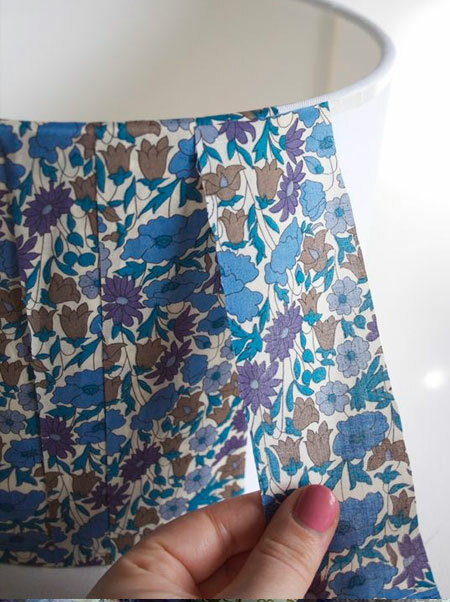 ABOVE: For a lampshade with an angle or curved shape, cut the wallpaper into strips to make it easier to apply to the lampshade cover. 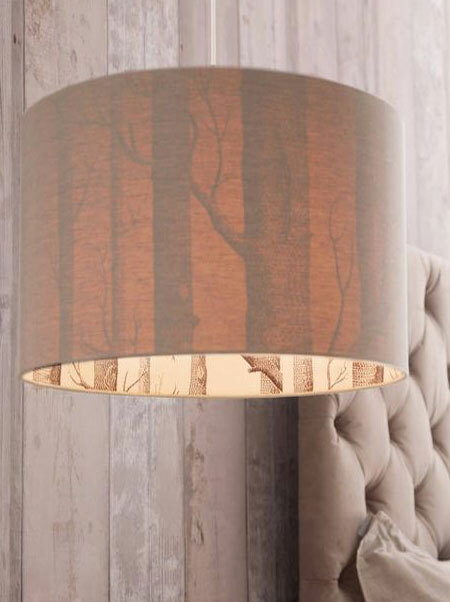 BELOW: Add interest to a plain lamp by adding wallpaper inside the shade for an interesting effect. 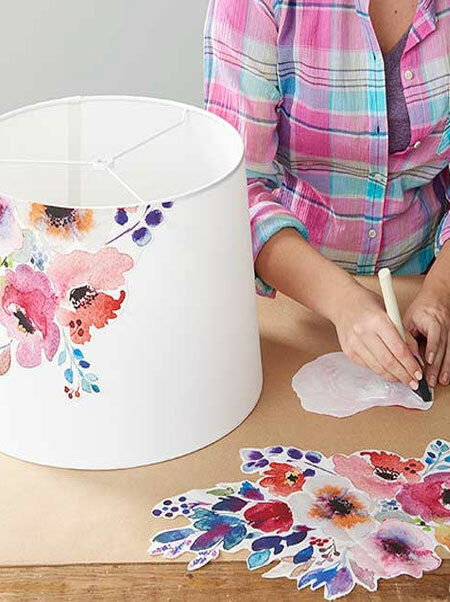 Another crafty way to dress up a plain lampshade with wallpaper is to cut out interesting features and glue these onto the outside of the shade. Using this method you can customise an ordinary lampshade and transform it into an extraordinary feature for your home. 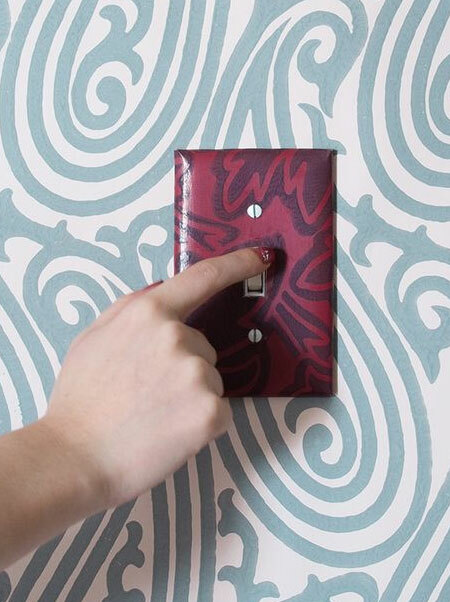 Don't let light switches and power outlets spoil a wall when you can cover these with matching - or contrasting - wallpaper to make them more attractive. Using a basic decoupage method, adding a piece of wallpaper onto a light switch or power socket won't let these spoil a finished wall. And if you don't have wallpaper on walls, you can always cover light switches and power sockets to add some interest to a boring wall. 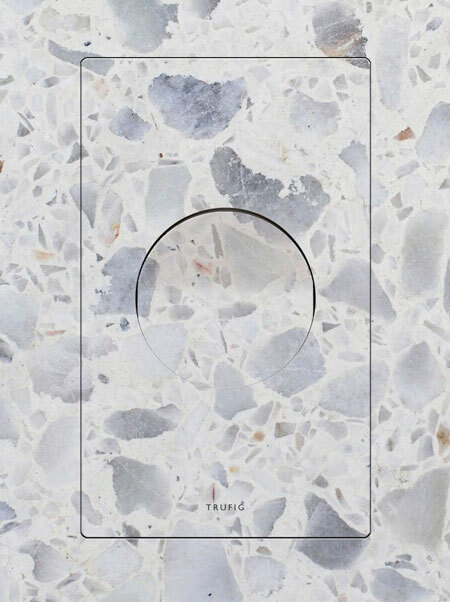 There are some areas in a home that just require a little bit extra to turn them into stunning features. Open shelves, for example, don't really catch your eye. 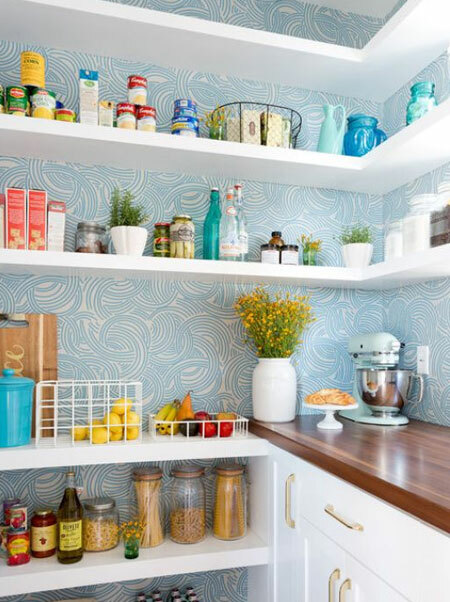 But add some patterned wallpaper behind shelves and they instantly before more interesting. 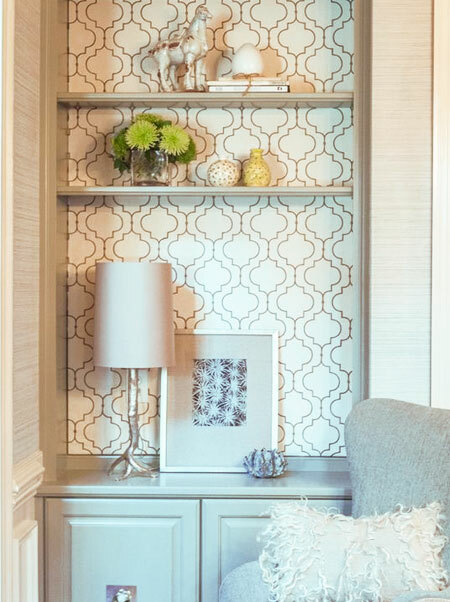 And you can also apply wallpaper to an open shelf unit - or the back of a cabinet with glass doors - to showcase a display of your favourite accessories. Select a wallpaper that ties in with your decor scheme, or one that is bold and colourful and really pops. In a room decorated in one colour, or a monochromatic colour scheme, add unexpected colour and pattern by adding wallpaper to areas not normally considered. 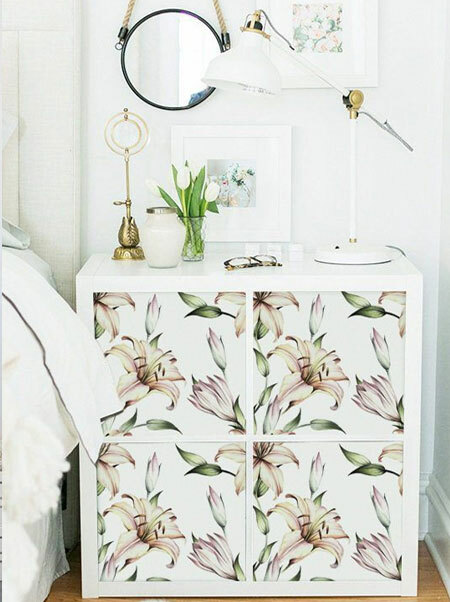 Love the dramatic contrast between white and bold pattern on this chest of drawers. 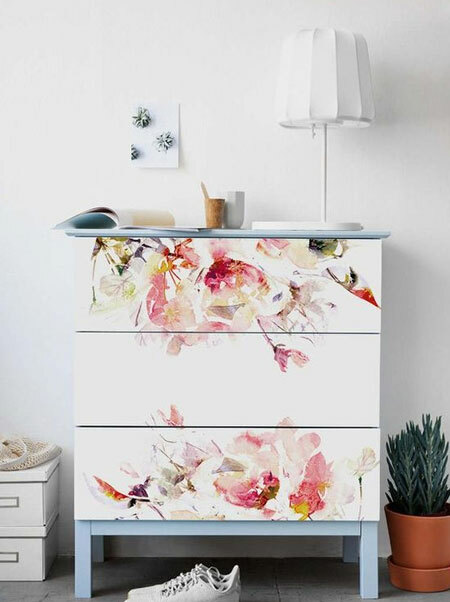 If painting is usually a fail for you, you can't go wrong by adding wallpaper to the drawer fronts of a chest of drawers. No messy painting here! Give the piece a light sanding before using wallpaper adhesive to stick the wallpaper down and then apply a couple of coats of clear protective sealer, or ModPodge, to finish off. 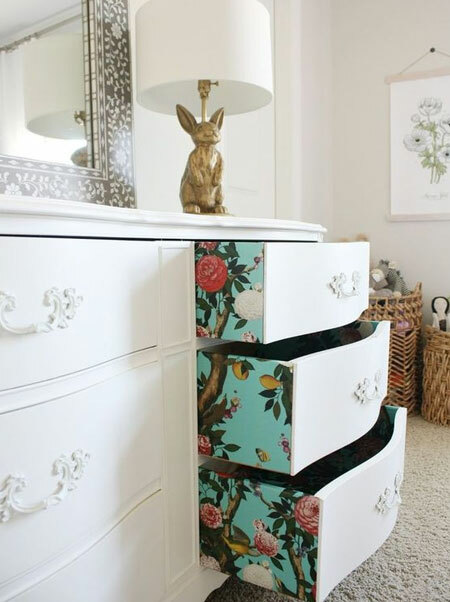 Applying an interesting wallpaper to a plain piece of furniture can be done on almost any furniture that has drawers. The pretty pattern works well in a setting that has very little pattern already in the space. Pick the perfect pattern on design to apply to drawer fronts to create stunning unique features that will liven up any piece of furniture. 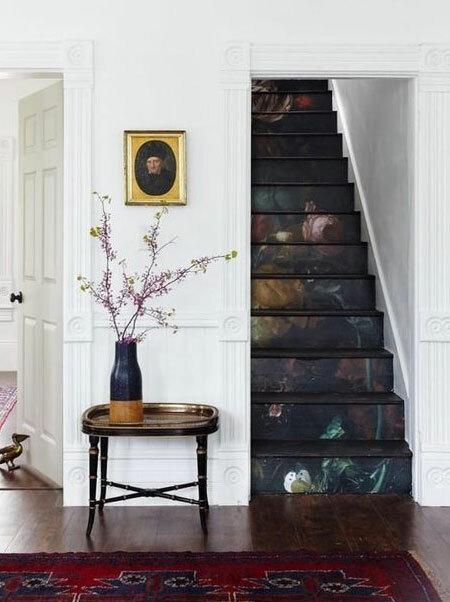 When you don't want a staircase to fade into the background and prefer it to be a standout feature, adding wallpaper to steps is just the thing to take your staircase to the next level. Choose a wallpaper that enhances the style of a staircase, whether it be an antique installation from days gone by or a modern masterpiece. 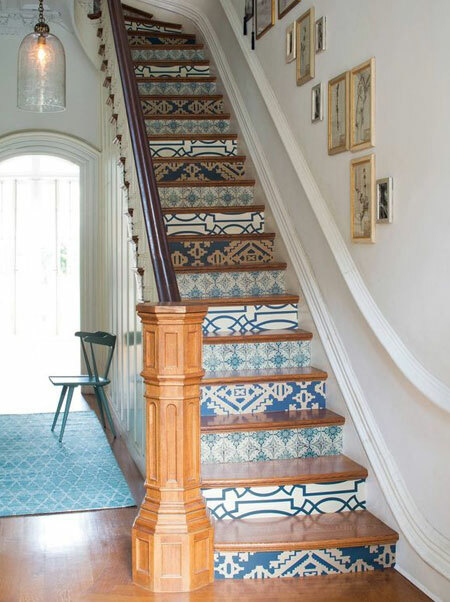 I love that you can use modern geometric wallpaper designs on a vintage staircase to create a juxtaposition between two completely different decorating styles - and yet they look so good together. When your home decorating needs an extra layer of colour, some interesting pattern, or just that little bit more pizzazz, don't forget to consider how a roll of wallpaper can make a difference. Wallpaper comes in so many different patterns and designs that it offers visual stimulation for very little effort.